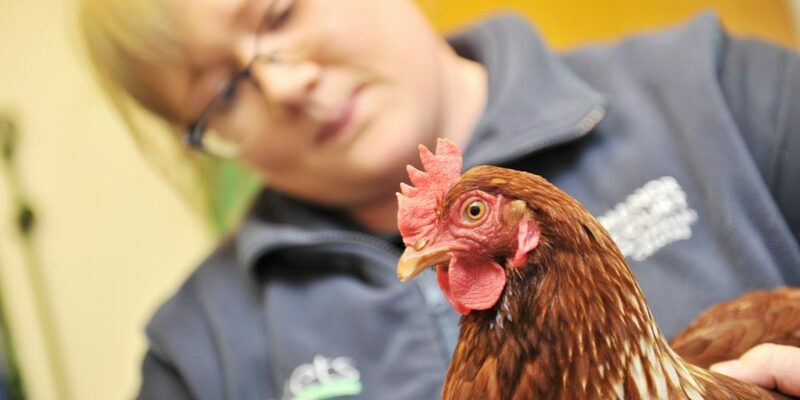 At Manor Court Veterinary Centre we have extensive knowledge of avian medicine from large commercial flocks to racing pigeons, game birds and backyard poultry. Please remember to send full details with your submissions including your name, address, contact telephone number and email. For more useful information about game birds, you can visit The Game Farmers’ Association website. We offer pigeon fanciers a full range of diagnostic services at our practice in Cheshire. Based at our veterinary centre in Tarvin, we carry out consultations and laboratory examination of submitted samples brought into the practice or sent by post/courier. Where necessary post-mortem examinations are carried out by a veterinary surgeon who has over 25 years experience treating many different avian species. We also offer an in-house laboratory for rapid diagnosis. For distance clients, we offer scheduled appointments for full history gathering, bird examination and where necessary can perform trichomonas swabbing, blood sampling and faecal sample examination. On location, visits can also be arranged for in-depth consultations, diagnosis and routine annual health planning during rest season. We offer a number of services electronically and can email results and provide an advice service via email for registered clients. All work carried out it fully explained and priced prior to the start of work, so please contact us on 01829 740216 for further information. Our avian services are available to all owners of hobby and pure-breed birds, including consultations and treatment. Contact our practice at Tarvin on 01829 740216 to arrange an appointment. To download information about the problems relating to feather loss in chickens, simply click here.